You don’t want to miss the 2015 Mississauga Marathon taking place from Friday, May 1st to Sunday, May 3rd! This full running experience promotes “A Run for Everyone” with a selection of activities for all ages and all athletic abilities including: Marathon, Sal Guzzo, LL.B. Relay Challenge, Recharge with Milk Half Marathon, Valeant Pharmaceuticals 10K, 10K Student Relay, Starbucks Hazel 5K and even a SUBWAY® Restaurants 2K Fun Run/Walk. 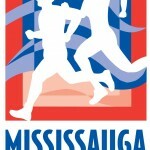 Be sure to also check out the Mississauga Marathon Runner’s Expo at the Port Credit Memorial Arena. Some of the many advantages our event offers include: the Marathon is a Boston Qualifier, all courses are net downhill and along beautiful waterfront trails, FREE shuttle buses, FREE baggage check, and FREE parking over the duration of Race Weekend, live band playing at the finish area on both race days, Bonus Offers exclusive to all 2015 Mississauga Marathon registrants, stunning finishers’ medal which are unique for each distance, Toronto Pearson International Airport is only a 15 minute drive to our event and MUCH, MUCH MORE! 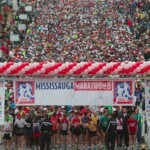 Runners, walkers, spectators, volunteers and Mississauga residents are all invited to join in the fun of Race Weekend! For more information on all of the above events, please visit: www.mississaugamarathon.com.